This report is the first large-scale attempt, in the UK, to explore the social impacts of participation in the arts. Arts in health care was not considered, but feedback from participants in arts projects provided evidence that people derived great pleasure from being involved in arts activities, and that it added greatly to their quality of life. For adults in the survey, 52% reported feeling healthier as a result of arts participation, and 73% report feeling happier. Matarasso, F. (1997). Use or ornament. 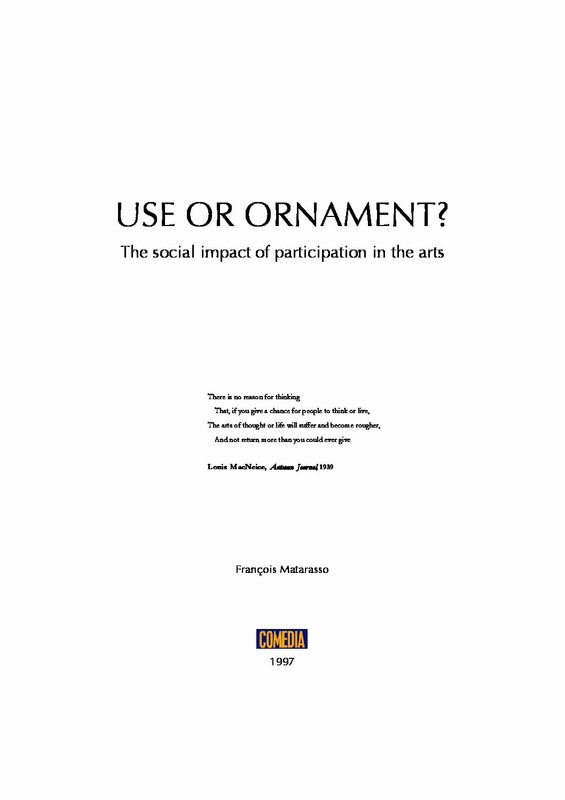 The social impact of participation in the arts. Stroud: Comedia.